A popular method for dieting is to count calories. 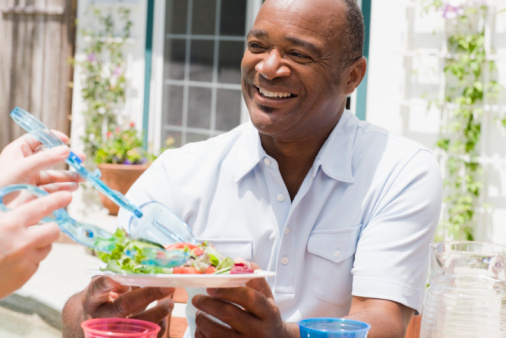 Recommended daily calories for a sedentary senior male is around 2,000 and 1,600 for females. Of course, this would increase if a person is active. Counting calories seems like a universal way to lose or maintain weight, but it’s important to keep in mind every person is different – inside and out – so what may work for one person may not necessarily be effective for another. Research is now suggesting that we move away from this popular diet trend and instead opt to promote nutritional value of food. This way of eating has shown to be more effective in reducing illness and cutting down on obesity. The findings were published online in Open Heart, where researchers explored published evidence to uncover the best and most efficient way to live a healthy life. What they concluded is that not smoking and making easy dietary changes are enough to boost health. One example they drew upon is boosting intake of omega-3 fatty acids; these can be found in olive oil, nuts and fish. Omega-3 has been linked to a reduction in death from causes like cardiovascular disease. For far too long we’ve been focusing on calories and not nutrition, so we ended up making the wrong choices. For example, a can of soda may only have 150 calories while a handful of nuts contains 500 calories, so in theory fewer calories should be better, right? Wrong: the soda contains sugar and artificial coloring while the nuts promote heart health and contain essential nutrients which can be used by the body. Estimates reveal the consumption of nuts could stave off 90,000 deaths associated with cardiovascular disease within America alone. Poor diet is linked with poor health as much as smoking and alcohol consumption combined. Some tactics to promote healthy eating are to tax soda beverages, make health foods more affordable and tighten controls on junk food. They don’t call it a healthy diet for just any reason – if you eat well you can receive benefits to your overall health. Food can play many roles in our energy levels, cardiovascular health, joint health and basically just about everything else. Food is meant to nourish us and keep us well, so if you eat junk you’ll end up feeling like junk as well. The key to a healthy diet is balance, so even if you’re enjoying carrots and hummus, too much of a good thing can add up to negative effects. Here are some guidelines for recommended daily amounts of healthy food. 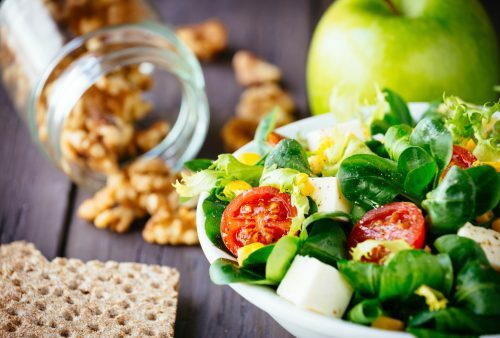 If you’re finding it hard to eat well or to incorporate more fruits and vegetables into your diet, use these easy tips and watch your fruit and vegetable intake soar so you can obtain health benefits. Although food benefits the whole body, there are some foods in particular which can work to protect the heart. Here are the top foods for heart health. The next time you sit down to enjoy a meal, make sure you’re eating healthy. Balance is key, so even if you want a treat – don’t deprive yourself, everything is okay in moderation. As long as you set out to achieve healthy eating for the majority of your week, sneaking in some dark chocolate or a glass of wine won’t hurt.